Here is a topic you may not really think about – Kitchen Cabinets-(or wood panels) and the effects of dry winter air and also – the reverse- humidity over summer has on them. It is not a widespread issue, and in fact- most people will not have this problem~ but I want to address it and talk about how to avoid it. Most importantly- keep in mind- that this issue that may happen during the winter months- will not be an issue once the warmer and more humid air returns. First- when buying a classic 5 piece constructed cabinet door- if you can inquire if the wood used has been kiln dried- that should be your preference. The center panel of a classic 5 piece constructed cabinet door is designed to float and is not glued to the stiles or rails. This is to allow for normal shrinkage and expansion of the woods, and it also prevents the center panel from cracking. 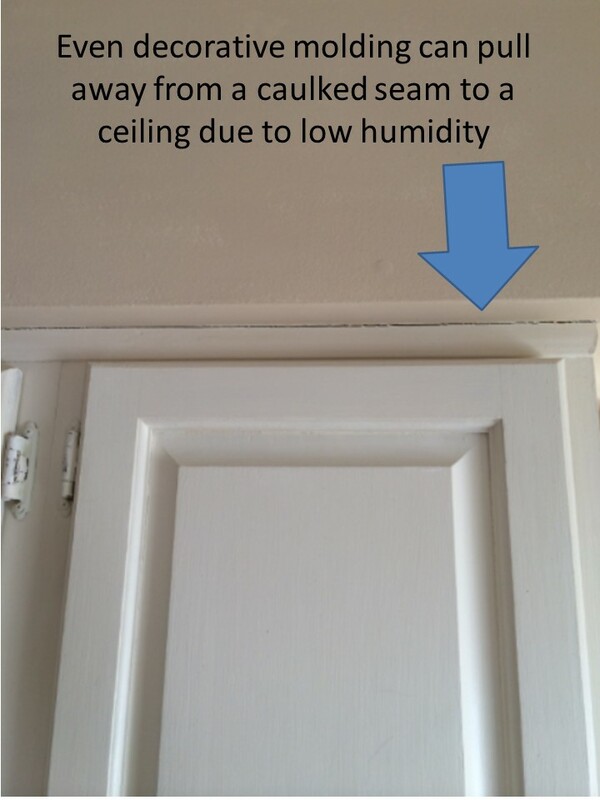 The amount of humidity in your home will influence shrinkage and expansion. So, let me just preface that depending on where you live in the world and the type of weather you experience ~ humidifiers and dehumidifiers in your home are important. You may have seen a cabinet door where the paint may have cracked slightly. The winter weather – causes the dry winter air to leech moisture out of anything leaving your skin as dry and cracked as a salt flat and your sinuses as parched as the Sahara in summer. The dry air also contributes to that jarring static shock that practically propels you across the room every time you pet the cat. Having significant differences in humidity levels in your home through the four seasons, over time- will effect everything. In my old 1880’s home, when we bought the house back in 2003, it had one of those very old oil furnaces. The furnace looked like an octopus and was very inefficient. It also, did not have a humidifier. After we had it removed and installed a gas, high efficiency furnace that had a built in humidifier – my husband set the humidifier to 50%. This caused many things to improve. Our skin was not nearly as dry, I would no longer get shocked when I pet my dog. But the evidence of the years of dry air through winter, and sticky humid summers remained. 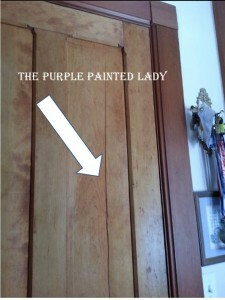 One example of this is left visible in some of the wood doors. 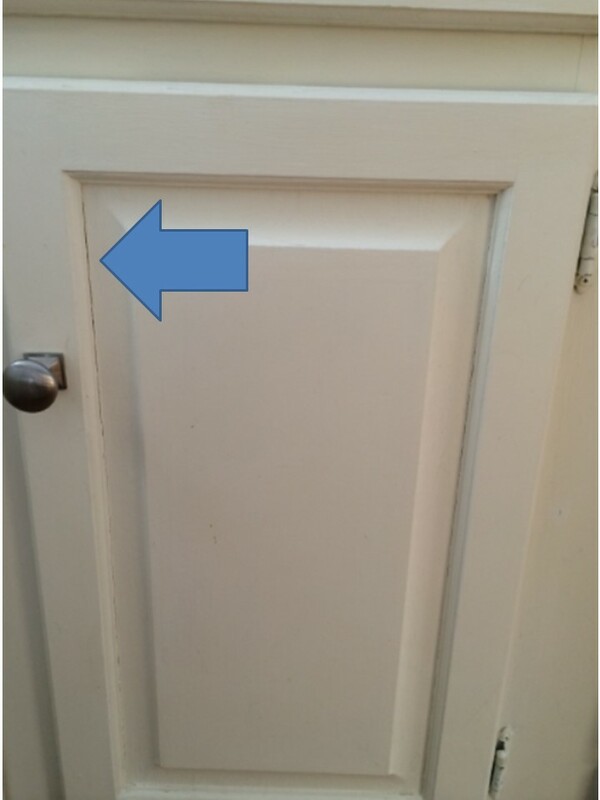 The closet door in my kitchen entrance in fact has a crack down the center of one panel where it bowed slightly due to humidity making it swell. Some of the doors on the second level of the house- have these cracks too. The wood panels would expand and contract depending due to the level of humidity, and sometimes- that causes cracks over time. Think about it, in NY during the winter- humidity could be as low as 20%. In the summer, there are unbearable times we experience humidity that is 90% or higher. That expansion and contraction effects wood, and the paint on top of it. So, the wood kitchen cabinets that are painted may show the signs of this situation. The paint is not the problem, but rather evidence that there is this issue. Again- it is not totally the way you heat your home, but rather the lack of a humidifier- which puts moisture back into the dry winter air – which most of the newest gas furnaces do have. This same issue can be the result of not having a dehumidifier over the hot, moist summer months. This Old House, the television show and magazine has a great post where Norm explains why this happens….again the focus is that no moisture because of heat and winter weather is the culprit. Click HERE to read it. “Your kitchen designer should be advising you of this fact, but he/she should not be discouraging you. What they are describing is, in fact, quite normal and will occur on all cabinet lines from the least to the most expensive. Real wood, like most materials, will expand and contract with changes in humidity levels. Since cabinetry doors are comprised of multiple pieces of wood, with the grain running in different directions, these boards expand and contract at different rates. This movement is called humidification and can be quite extreme, depending on several factors, the major ones being your local climate and the actual HVAC system in your home. 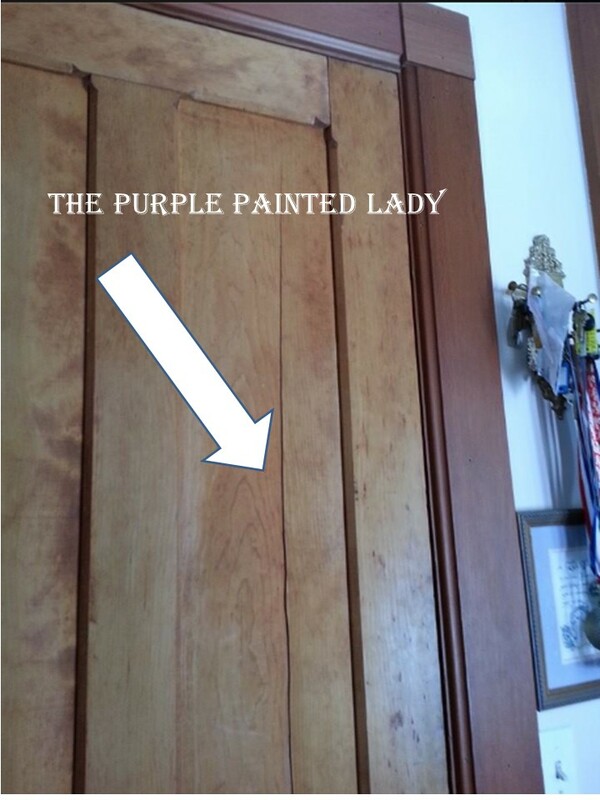 When you paint a real wood door, the paint hardens and then when the wood moves, the paint can develop visible lines or cracks at the seams of the cabinet doors. These ‘cracks’ may be more noticeable on “stile and rail’ type doors. Miter doorstyles will experience this too, but because the miter joint is usually more noticeable anyway, it tends to be easier to accept visually. 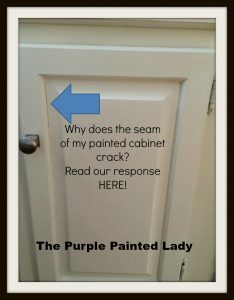 These ‘cracks’ are actually present on all cabinetry, but with stained cabinets, and their visible woodgrain, you just can’t see them as readily, but they are there. Just drag your fingernail across some cabinetry joints and you will find some. – The center panel is designed to “float” within the rails and stiles … never seal this expansion joint with caulk as this can cause serious damage. – Maintain a clean expansion joint while painting … paint the center panel first, and then start painting on the outer edges and work your way in to avoid any heavy buildup of paint … and clean out any excess paint with your brush. I feel the most important part of this post I want to share with you is that dry air and then the opposite- being humidity take their toll on wood. 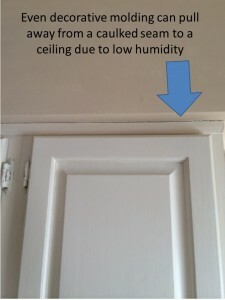 Managing humidity levels in your home is important. Then this issue is no longer a problem. This entry was posted in Uncategorized and tagged cabinets, cracks, dry air, humid, humidity, seperation, stiles, winter by Tricia. Bookmark the permalink.